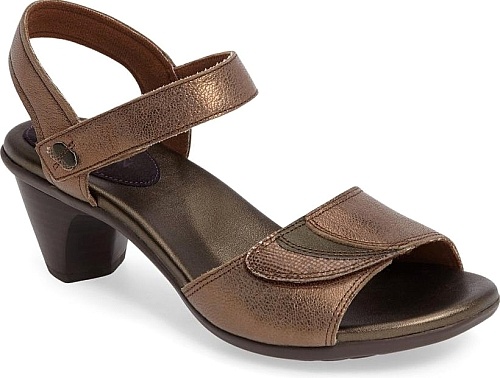 A wedge heel provides just-right lift to a comfort-centric, fisherman-inspired leather sandal that goes from dressy to casual without missing a beat. 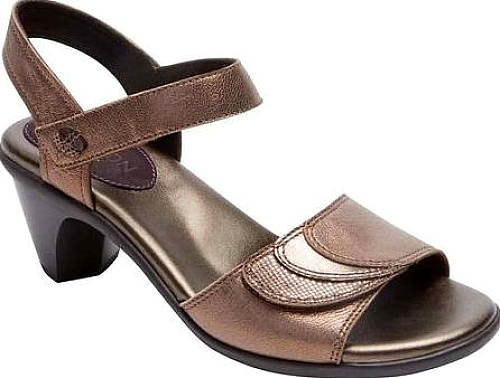 A shimmering, lizard-embossed finish adds eye-catching glamour to a block heel-sandal with a contoured OrthoLite footbed that offers superior comfort and arch support. A low-profile loafer topline distinguishes an essential flat fitted with a cushy memory-foam footbed. 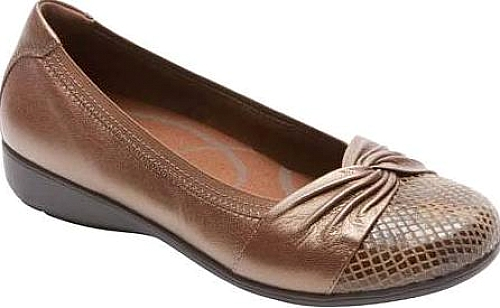 The Andrea-AR Ballerina Flat is the perfect shoe when you want both a comfortable low heel and high style. It features moisture wicking Dri-Lex in both the lining and the microfiber footbed cover. 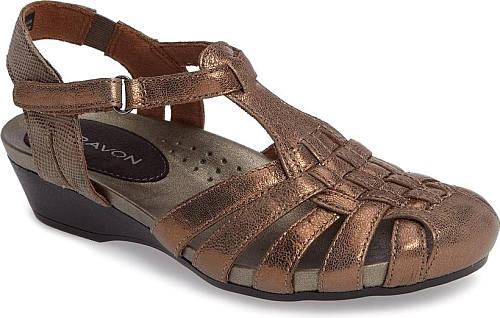 Add some shimmer to your outfit with Aravon's Medici Adjustable Quarter Strap Sandal. 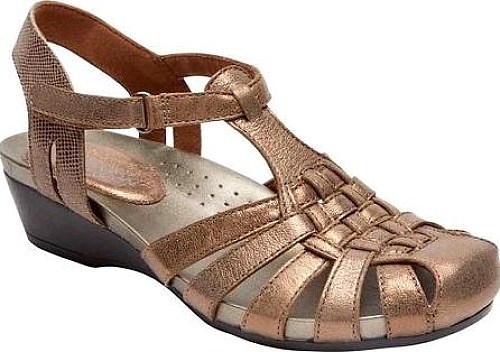 With a comfortable footbed and a steel shank for support, this is the perfect choice for a bold and striking sandal. 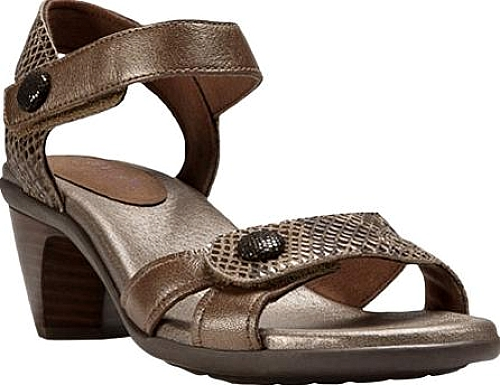 The Mila is an adjustable sandal from the Medici Collection. It features a leather upper, N-ERGY comfort pads, breathable microsuede lining, an EVA footbed with Ortholite, and TR sole units. 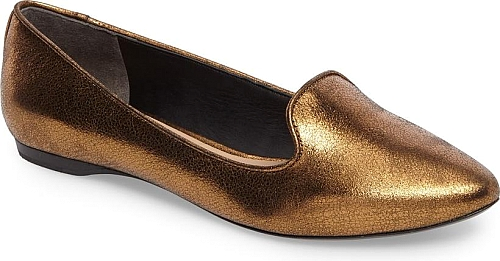 Whether you are heading to the office or out on a walk, make sure you stay comfortable and looking chic in this round-toe flat. Made from smooth leather, this versatile design features a footbed that combines EVA, memory foam and moisture-wicking materials for a cushioned and dry wear. 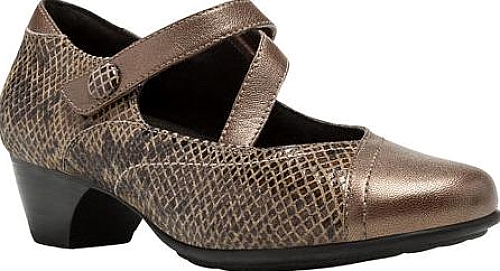 The Maya is a Mary Jane with a Stridarc rocker sole. Stridarc is a highly engineered outsole that rocks thanks to a rigid bi-fit board embedded in the outsole. The Portia shoe is a mary jane style featuring a rubber outsole with gel pad, steel shank, removable molded EVA and memory foam footbed with stability cradle. It also has Moisture Wicking Dri-Lex Lining, Abzorb, and rubber toplift. 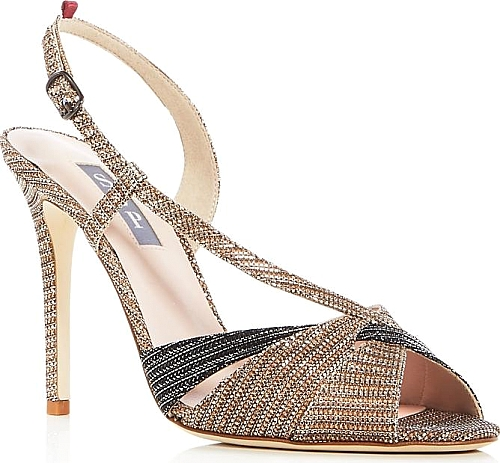 Revel in the stellar shimmer of Sjp by Sarah Jessica Parker's stunning metallic sandals, crafted in a modern asymmetric design accentuated by a contrast toe strap. Perfect for a weekend getaway or a casual day outdoors, Aravon's Standon Fisherman Sandal is the right pick for comfortable footwear. 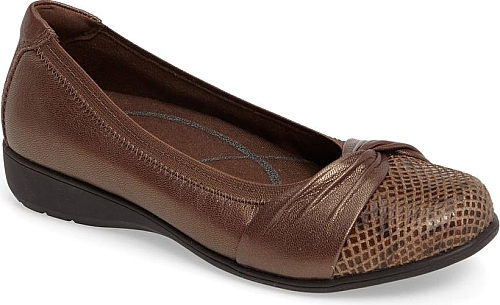 With a wedge heel and an adjustable hook and loop strap, you are bound to make a stylish statement on warm weather days.